The U.S. Census population schedule for Ward 4, Election Precinct 2 for Panama City, Florida, in 1930. Individuals are identified by name, titles and terms, gender, age, marital status, race, relationship to head of household, birthplace, birth year, the last place of residence, and occupation. A notable resident listed in this record was Captain Aquilla A. Calhoun, Jr., a native of Panama City. Capt. Calhoun attended the University of Florida (UF) and graduated with a Bachelor of Arts. It was upon his graduation that Capt. Calhoun enlisted as a second lieutenant in the U.S. Army Reserves. Upon his enlistment, he entered the 92nd Field Artillery's 2nd Armored Division in Fort Benning, Georgia. His unit gained the nickname the Brave Cannons, which has stuck throughout the 92nd Field Artillery's career. With the intensification of World War II, the Allied began to execute the Omaha Beach Normandy Invasion in June of 1944. After the invasion, Capt. Calhoun made his way to Northern France, where he played a vital role in the liberation of Bresles, a commune in the Picardie region of France. Capt. Calhoun died during his service in France and is currently buried at the Epinal American Cemetery and Memorial in Dinozé, France. Calhoun is one of 85 Florida residents interned at Epinal. His death led to the creation of a tribute site and memorial in his honor in Bristles. 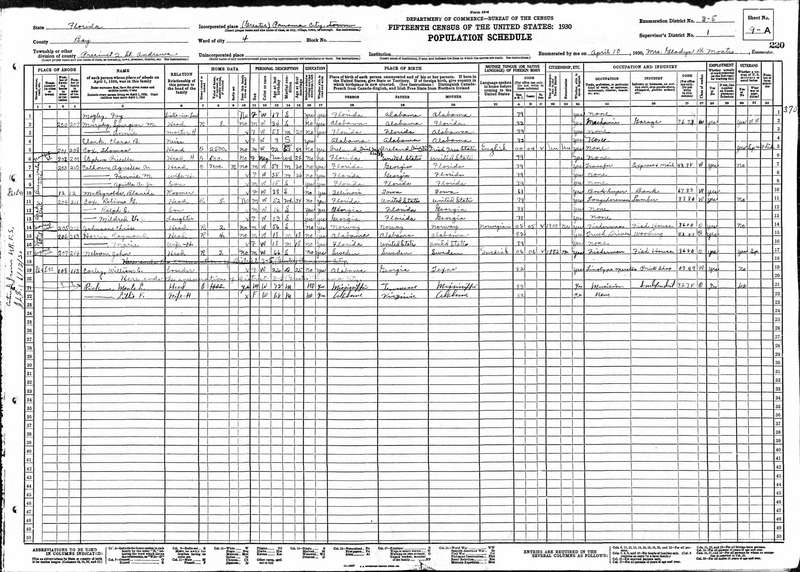 Digital reproduction of original census record by Gladys B. Moates, April 10, 1930. https://familysearch.org/ark:/61903/1:1:SPGH-JN2. 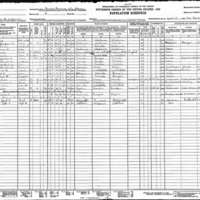 Original census record by Gladys B. Moates, April 10, 1930: National Archives & Records Administration, Washington, D.C. Originally created by Gladys B. Moates and published by the Bureau of the Census. Moates, Gladys B.. “Sixteenth Census Population Schedule for Ward 4, Panama City, Election Precinct 2.” RICHES of Central Florida accessed April 24, 2019, https://richesmi.cah.ucf.edu/omeka/items/show/6999.